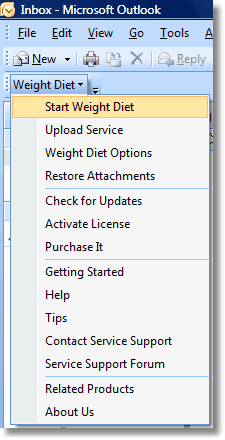 This page shows various screenshots of the Weight Diet add-in for Outlook. 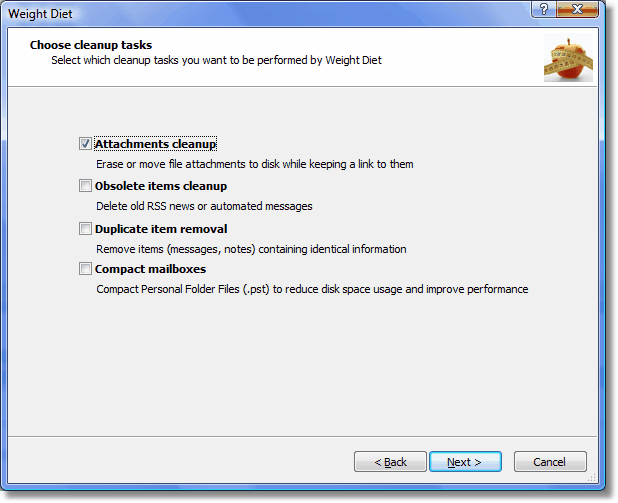 Weight Diet is an add-in for Microsoft Office Outlook 2002 to 2010 designed to speed up your Outlook sessions by optimizating your mailbox file content. Click here to download the 15-days free evaluation version of Weight Diet and see for yourself how you can increase your Outlook speed by reducing your Outlook PST file size. 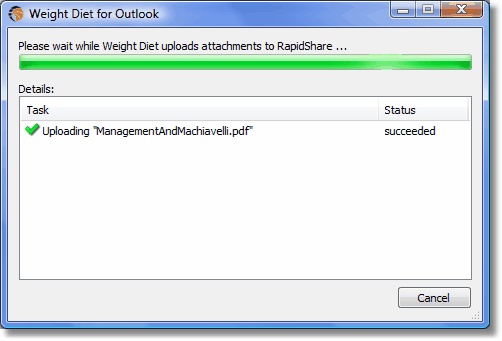 Weight Diet is designed as an add-in for Microsoft Office Outlook and it works with any Outlook version, starting from Outlook 2002. 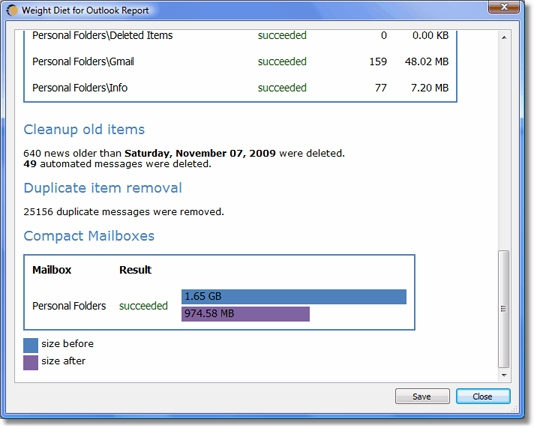 Microsoft Office Outlook 2002 (XP), 2003, 2007, 2010, 2013 (x32 or x64).